The 6MP JVC CCL650i2 (formerly Totoku CCL650i2) is a widescreen color diagnostic display for new possibilities with streamlined workflow. With a wide 30″ screen, the new JVC CCL650i2 allows you to view images of two 3MP displays in one beautiful screen without the inconvenience of center bezels. Additionally, the CCL650i2 allows for the flexibility of window layouts in a number of ways supporting multiple system configurations. 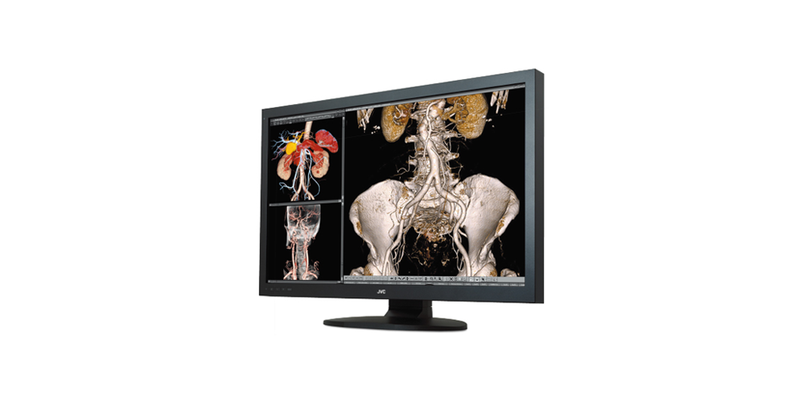 Providing optimal functions for diagnostic viewing, this wide CCL650i2 improves your workflow efficiency while ensuring space and energy saving. The CCL650i2 JVC 6MP 30' wide color LCD with 6 MegaPixel resolution provides a viewing area equivalent to two 3MP displays. This design will reduce the burden of your eyes to move one to another in case you have two 3MP displays. The wide screen of the JVC CCL650i2 also enables you to efficiently allocate multiple windows you need to work on. The CCL650i2 requires less footprint compared with two 3MP displays, saving valuable workstation space. Accessories	 Power cord, DVI cable ×2, DisplayPort cable ×2, USB cable, Users manual, Cleaning kit* *Special AR coating model only.